Research & Consulting Industry Veteran Joins Phronesis Partners Inc.
Phronesis Partners announces appointment of Alan Gray as its Vice President for Client Success. Alan will be based out of Phronesis’ London office. Phronesis Partners, a global Research & Consulting company, announced the appointment of Alan Gray as its VP- Client Success. He is a seasoned professional in consultative business development with more than 20 years’ experience in helping clients develop innovative strategies. He has longstanding expertise in helping clients meet their strategic objectives with innovative strategic & business research solutions across corporate strategy, sales & marketing, competitive intelligence and M&A functions in multiple industries. 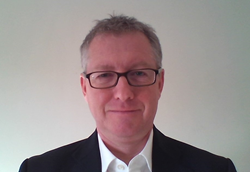 He has substantial experience on both client and vendor side in the UK and international markets. Prior to Phronesis, Alan was working as Vice President in a global KPO firm dealing in high-value custom research, strategy support and data analytics. At Phronesis, Alan’s key focus area will be the expansion of the company’s business growth in Europe. He will lead the development and execution of strategic and tactical plans to acquire new clients and realize business growth goals. Phronesis Partners, one of the fastest growing research and consulting establishments globally, offers unique and actionable insights to deliver research & intelligence solutions for businesses. We take pride in the quality of our work and our solution-centric culture which is driven by a motto of Simplifying Growth for clients. With world-class research capabilities, we deliver strategically analyzed consulting and custom research assignments to our clients.